This breakthrough new product utilizes a special zinc formulation to provide unsurpassed anti-wear protection for longer chain and sprocket life. Yet, it does not attract dirt, sand or grit, and will not fling off when used as directed. 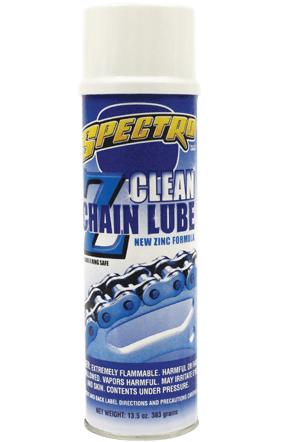 Suitable for O-ring and roller type chains, both for on-road and off-road use, Z-Clean is the next generation in chain lubrication.